Despite softening prices and lower inventories, markets for sheep and goat meat and fiber remain strong. But prices still remain high relative to their respective five-year averages. That, coupled with growing demand for meat, hair and wool, are sending a mixed signal, Bill Thompson, Texas A&M AgriLife Extension Service economist, said. “With the demand that we’re seeing, I am a little bit surprised by the softening that we saw in some prices last year,” he said. Sheep inventory dropped one and two percent in the U.S. and Texas, respectively. It’s not a large decrease, Thompson said, but it is still surprising considering price strength and consumer demand. There are several possible reasons for the drop in breeding ewe numbers, Thompson said, including aging growers and a prevalent predator situation. Trade could also be a factor. Starting in 2004, imports of lamb items have matched domestic growth, Thompson said. But around 2011, it began increasing. Today, the U.S. imports nearly twice as much as it yields. Consumers in traditional ethnic markets and emerging markets continue to drive demand for lamb. Young ranchers entering agriculture have recognized the advantages of raising sheep instead of other livestock, Thompson said. Thompson noted he expects wool production and sheep numbers to come back, because wool prices are strong. Texas continues to lead the country in terms of goat numbers, Thompson said. 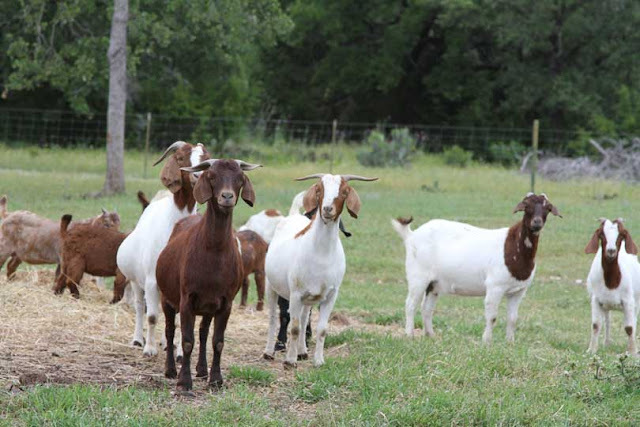 The Lone Star State has 740,000 goats and outnumbers the next 10 states combined. The landscape of Texas is conducive to raising goats, Thompson said, which leads to an abundant population compared to other states. Even so, inventory of meat and mohair goats fell three percent last year, and there are several factors that influenced that. Imports and the value of the dollar, Thomson said, may be contributing to the decline. But predation is a major concern for farmers and ranchers. Farmers and ranchers have faced the challenging losses by incorporating enhanced management practices, including the use of livestock guardian dogs and predator hunting by helicopter. Despite the decline in goat numbers, demand continues to climb for mohair items, he said. Mohair production rose two percent to 755,000 pounds in 2018, with 62 percent of production coming from the Lone Star State. Thompson expects demand for mohair to increase. “There is high demand for wool and mohair for clothing, especially high-end, high-quality, natural fabrics,” he said.